The Whole Enchilada is located at 1114 S. Diamond Bar Blvd, (at Grand Ave.), in Diamond Bar. You can reach them at (909) 861-5340, and visit their website at http://www.wholeenchilada.com. Diamond Bar – This can be a busy time of year for everybody, take a short timeout to savor fresh Mexican cuisines at The Whole Enchilada. And don’t forget, they can cater your graduation or summer party as well! With its promise of authenticity, The Whole Enchilada guarantees that its customers will enjoy the taste of their entrees. The Whole Enchilada can help you make at-home dinners easy by offering tamales all year round. This traditional holiday dish is sold by the dozen and is available in pork, beef, chicken, green chili and cheese. From platters and entrée meals to taco bars, they also provide other options to serve fresh, authentic Mexican recipes their resident chef brought from their homeland. “All our food is made fresh daily,” says Lil Palmer of The Whole Enchilada. The restaurant has been in business for over 30 years, offering a variety of Mexican dishes ranging from tacos and burritos to carne asada and fajitas. 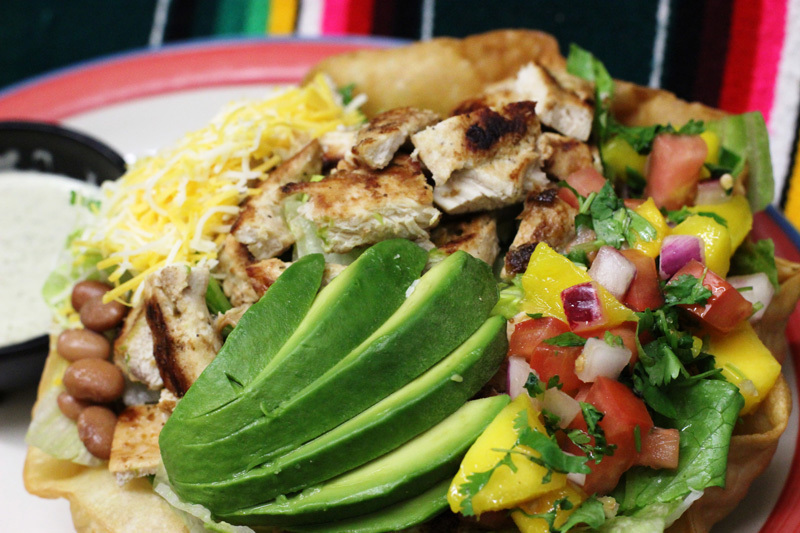 The Whole Enchilada’s food is only one reason to celebrate at their restaurant. They also pride themselves on excellent customer service due to their family friendly servers being attentive, courteous, and knowledgeable. If you’re planning a celebration, parties can be planned easily at a home or business with The Whole Enchilada’s catering service. Book now and you can reserve a portion of the restaurant to celebrate with good food, family, and friends. The staff will be there to help you celebrate special moments, raise money for your team or organization, and provide a wonderful experience for your children. They love working with the community to help with fundraisers, and special events for churches, sports, schools, clubs, and more. Birthday parties are always fun at The Whole Enchilada, as well. No matter how old you are, the staff will provide you with a total birthday experience including singing, a special picture to take home, free birthday hat and dessert, and best of all, five “Enchilada Bucks” to use the next time you visit. Better yet, The Whole Enchilada’s “Kids Club” includes four mailings per year entitling your children to a free meal when accompanied by an adult, as well as a birthday invitation for a free meal and dessert. The Whole Enchilada has gift cards available for purchase in person or online at http://www.wholeenchilada.com. And remember to ask your server for a Combo Punch Card on your next visit, which provides a free combo dinner when you purchase any nine of their combination dinners.